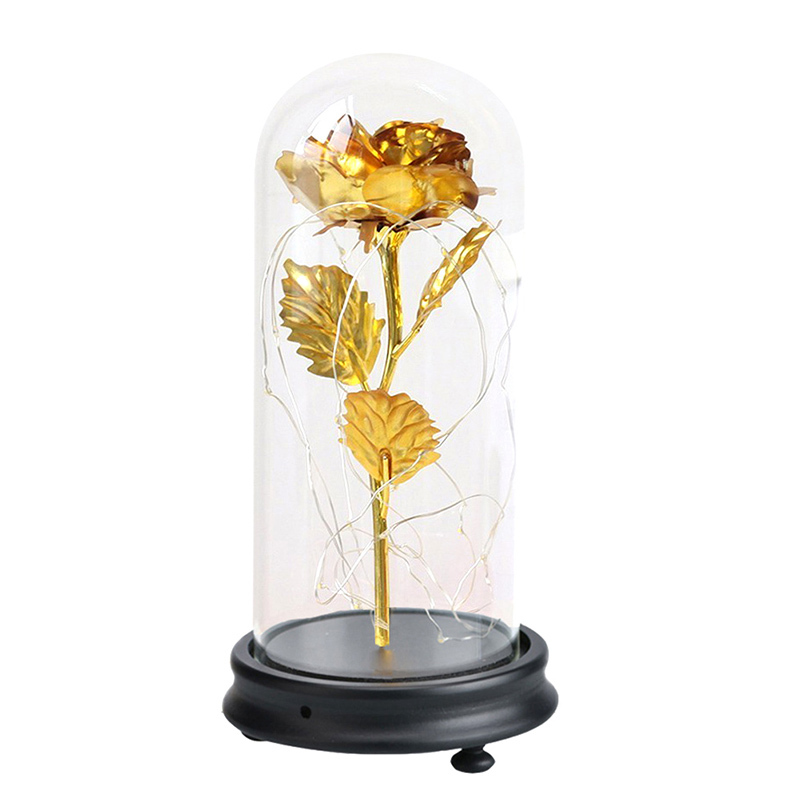 Express your love with this timeless Enchanted Forever Rose! 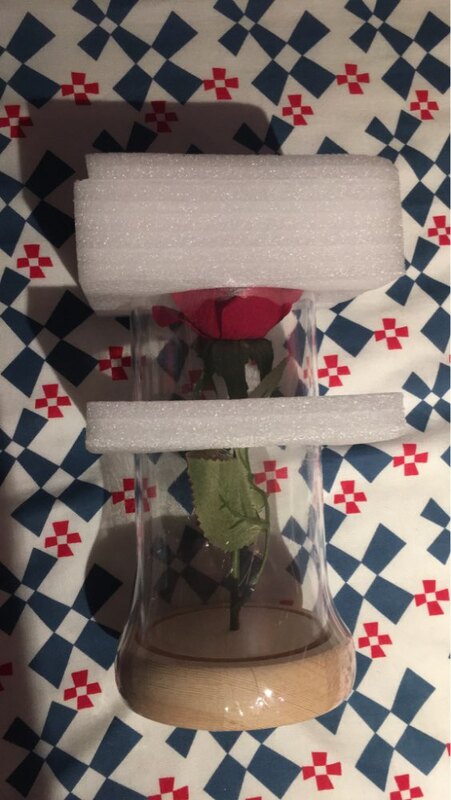 What better way to give your heart to your significant other than a rose that lasts forever? 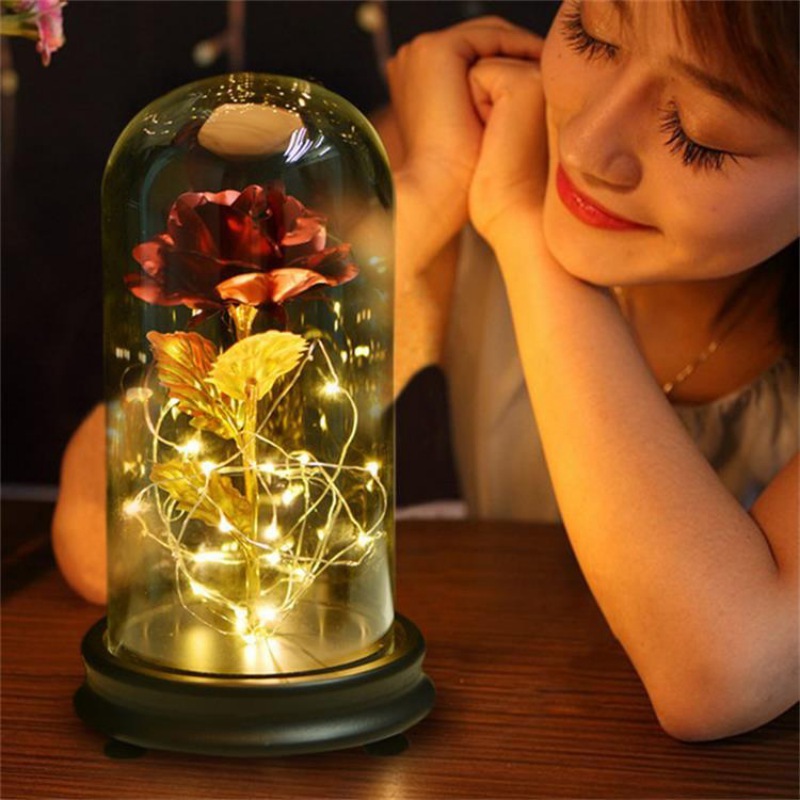 This Enchanted Rose is a natural rose that has been completely handcrafted and preserved to last an eternity. 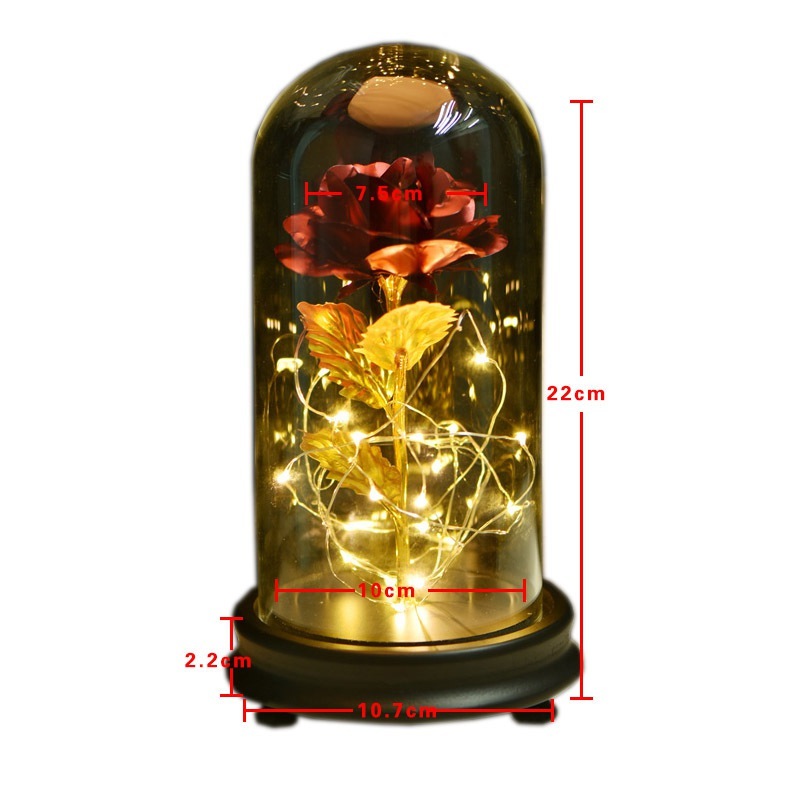 The LED lights surrounding the rose will remind your loved one of your undying love every time they see it. Size:11 x 22cm / 4.33" x 8.66"
1. 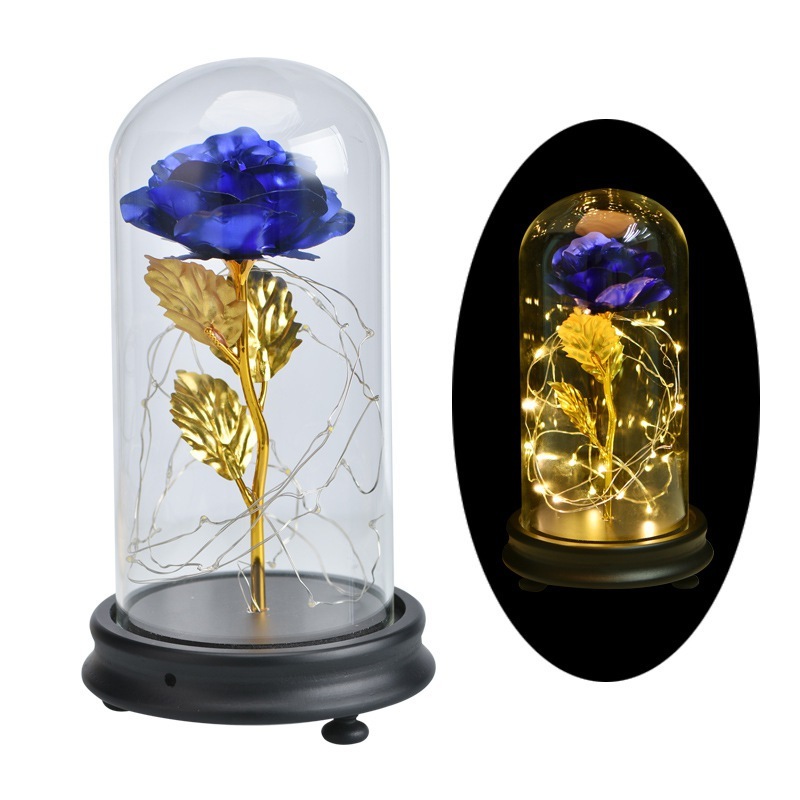 Made of high-quality glass, 24K gold plating rose flowers, the lampshade is clear and durable. 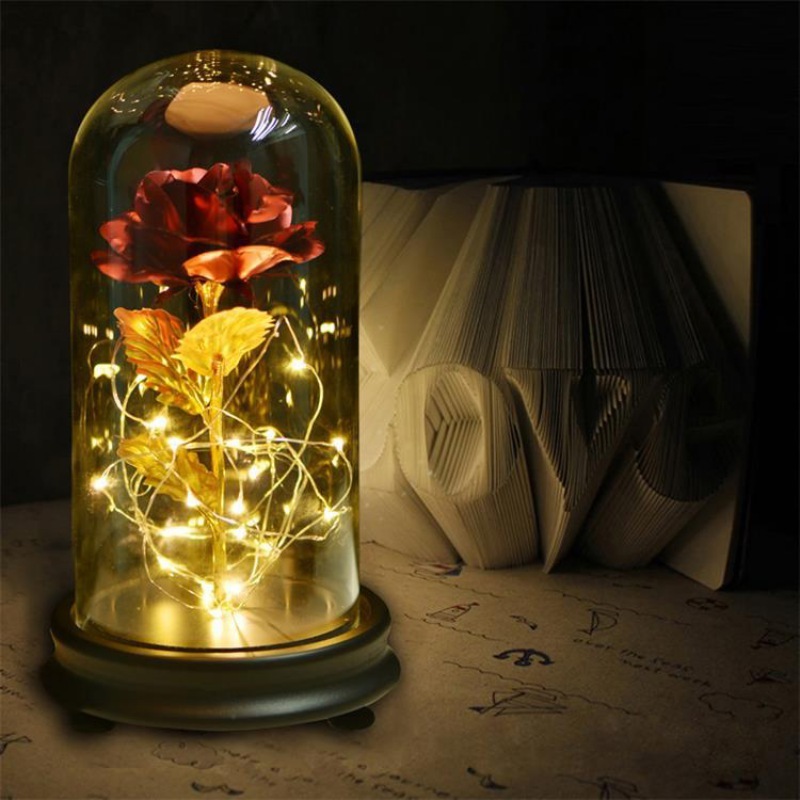 LED strip light makes it more charming at night. It can show a beautiful and elegant look while it can also be preserved lifetime. 2. Size: 11 x 22cm / 4.33" x 8.66". Powered by 3x AAA batteries (not included). Low consumption and long lifespan. So convenient to take with you everywhere. 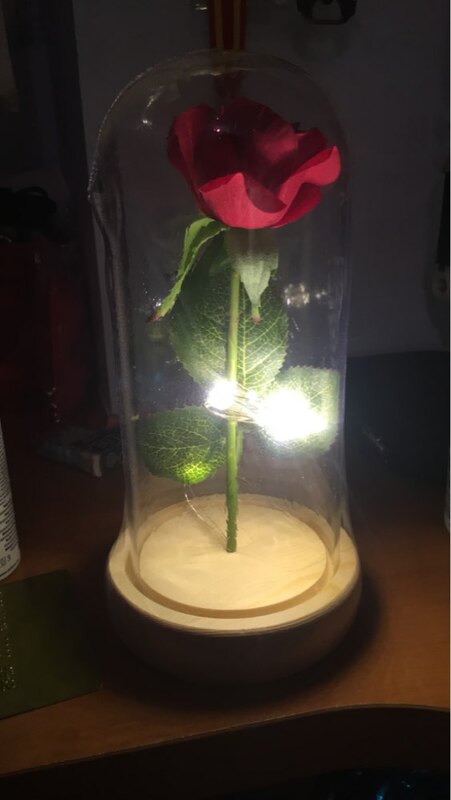 It makes your room more interesting. 3. 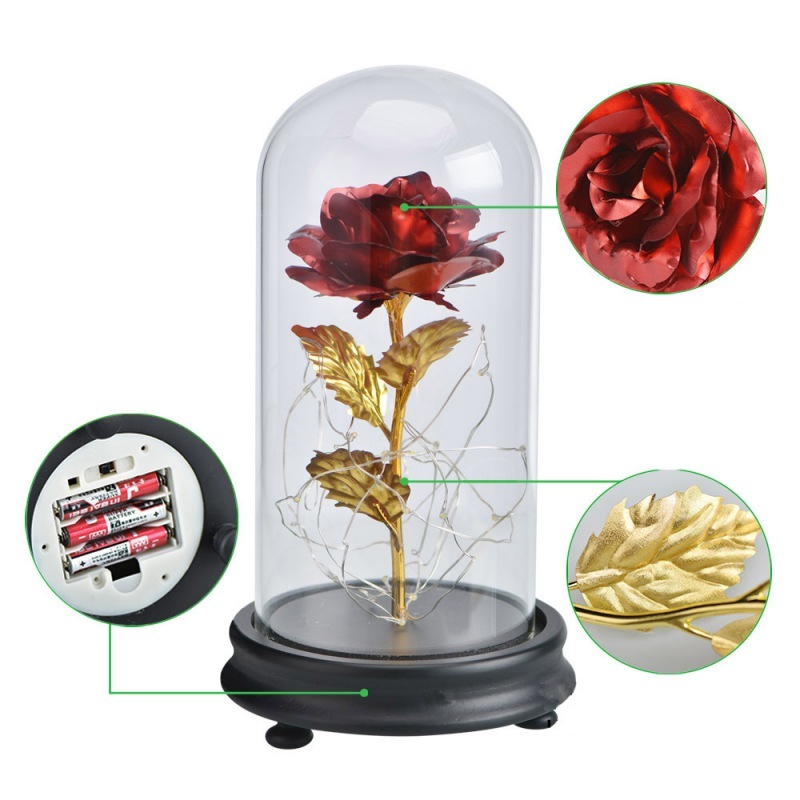 Rose--a symbol of love, is ideal not only for gifts to loved ones, friend or a teacher, but also would look amazing as a centerpiece in your living room or bedroom. 4. Just turn on the switch, these small bulbs will light up with bright warm white lighting. 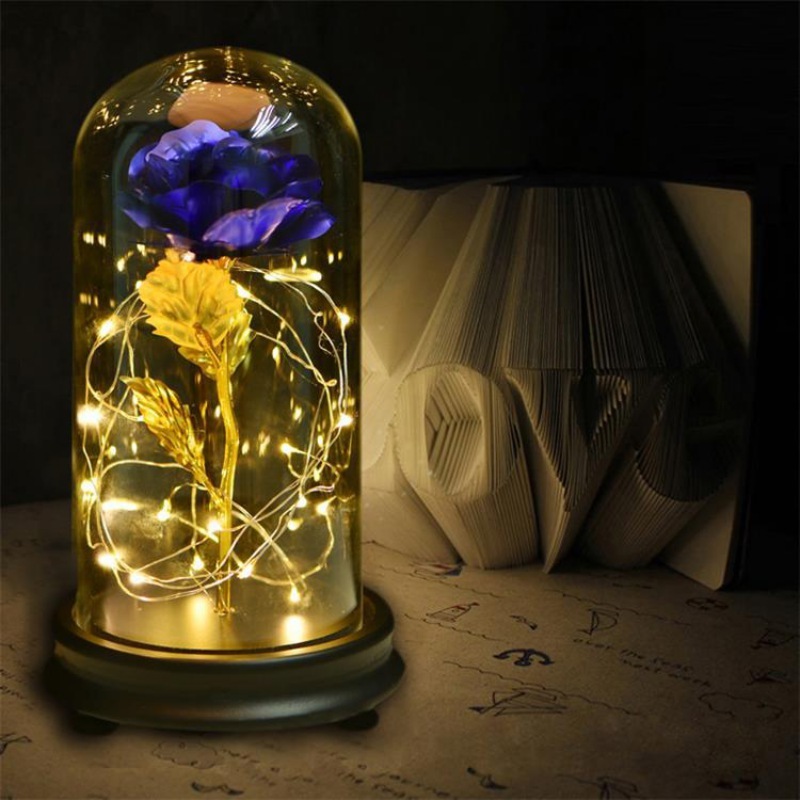 Create a brilliant and romantic atmosphere for your family dinner, wedding, party, etc. Fantastic for crafting holiday ornaments. 5. Perfect for weddings, birthday, and valentines or Christmas presents. 1. LED Lights inside the dome may be rearranged however which way you want. 2. Please allow 1-3 cm difference due to manual measurement and 3-5 g for the difference between different colors. Shipping to Spain in 13 days. As in the description. Well packed. Highly recommended.